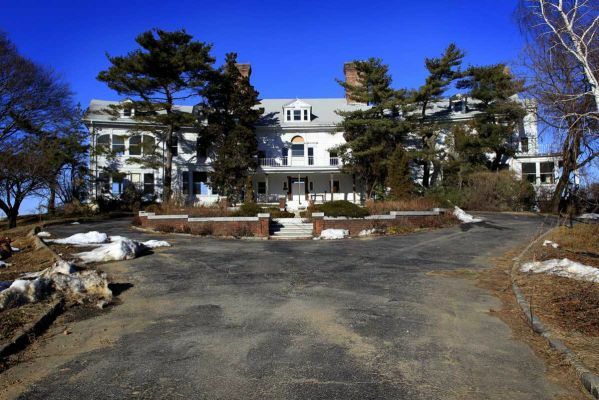 Once an opulent Estate which held parties that were attended by the likes of Winston Churchill, Duke & Duchess of Windsor, F. Scott Fitzgerald and the Marx Brothers – Lands End is now an abandoned, crumbling Mansion worth $30 Million Dollars. 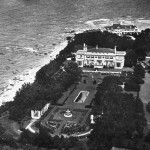 The Mansion was built in 1902 by famed architect Standford White for journalist Herbert Bayard Swope who was one of the first recipients of the Pulitzer Prize. 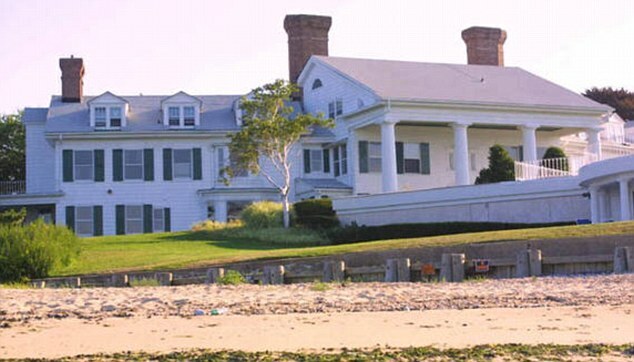 Many F. Scott Fitzgerald scholars believe the 1902 structure was the inspiration for Daisy Buchanan’s house in The Great Gatsby, however, there is nothing written in stone to back this up. 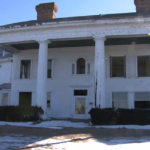 The property has changed owners several times within recent years. 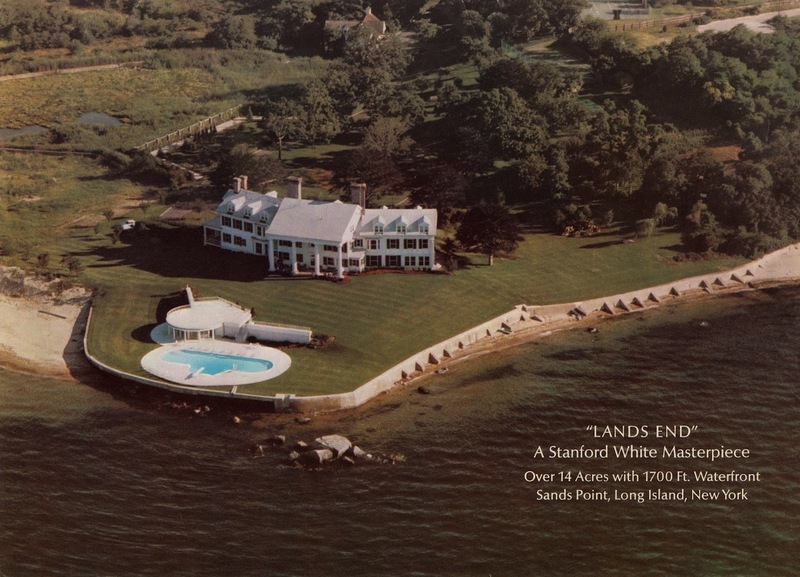 In the 1980’s, Lands End was purchased by Charles Shipman Payson and Virginia Kraft Payson. 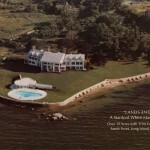 In 2001, Virginia, then widowed, tried to sell the Estate for $50 Million. With no luck the price was cut in half and later sent to the auction block. 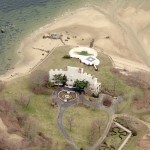 It’s current owner, David Brodsky, bought the property for $17.5 Million in 2004 and made sure it could be subdivided before signing the papers. He’s now planning on razing the structure to make way for a five lot subdivision, with each of the five homes priced around $10 Million. “To be honest with you there isn’t anything really special about it,” said David Brodsky. 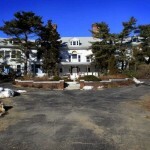 The colonial Mansion still offers much of it’s original grandeur, with wood floors, elaborate moldings, large fireplaces and patios that look over the green lawns to the Long Island Sound. 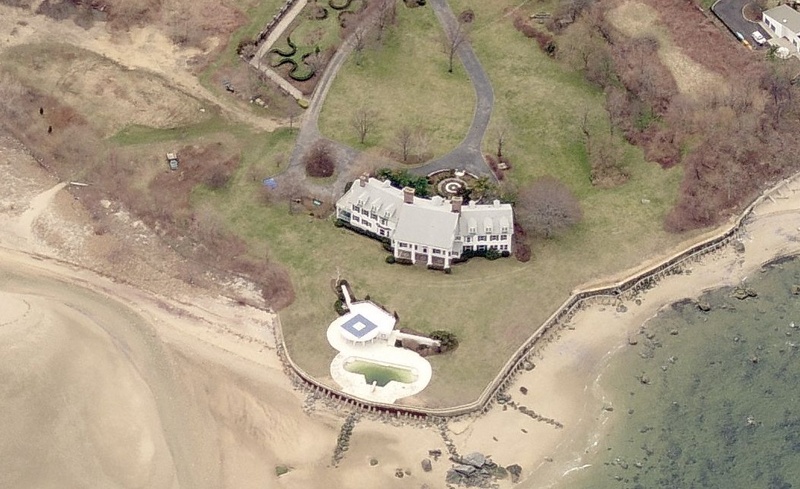 Close to the edge of the water are the Swimming Pool and Pool House, and what looks like a helipad on the roof of the Pool House is actually a Dance Floor. 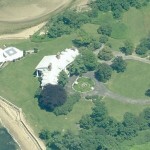 The grounds also include a seven car garage, tennis court with tennis pavilion and guest house. 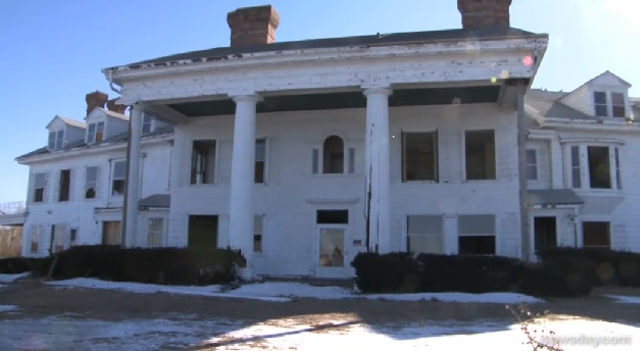 While the home may have seen better days, it’s an absolute shame to tear down a structure with so much beauty and history. 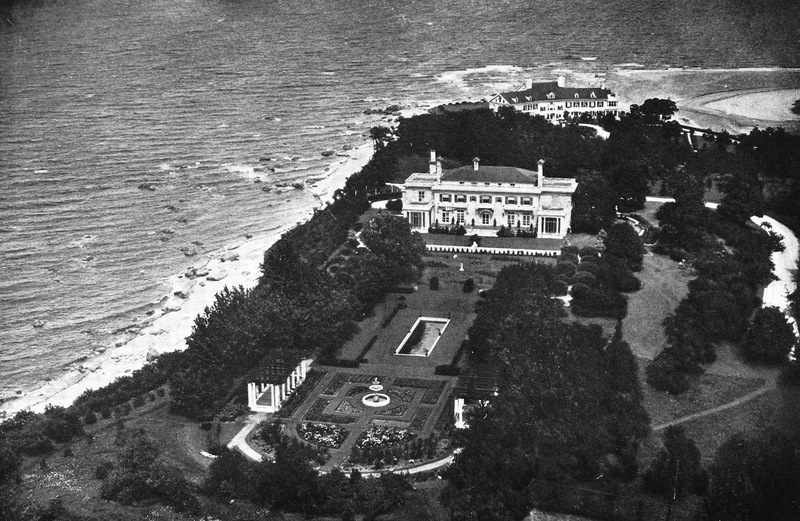 Speciality Items: 25 Rooms, Swimming Pool, Multiple Fireplaces, 14 Acres, Built in 1902, 1,700 Ft. of Waterfront, Pool House, Manicured Lawns, Purchased in 2004 by David Brodsky, Winston Churchill, F. Scott Fitzgerald and the Marx Brothers all attended lavish properties at the Mansion. 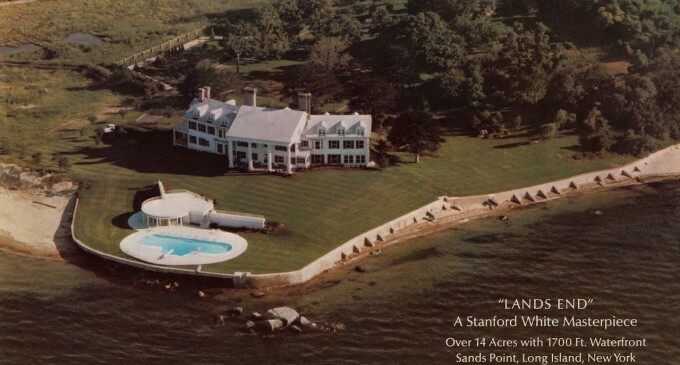 Pictured above, you can see the Lands End Mansion in the back. 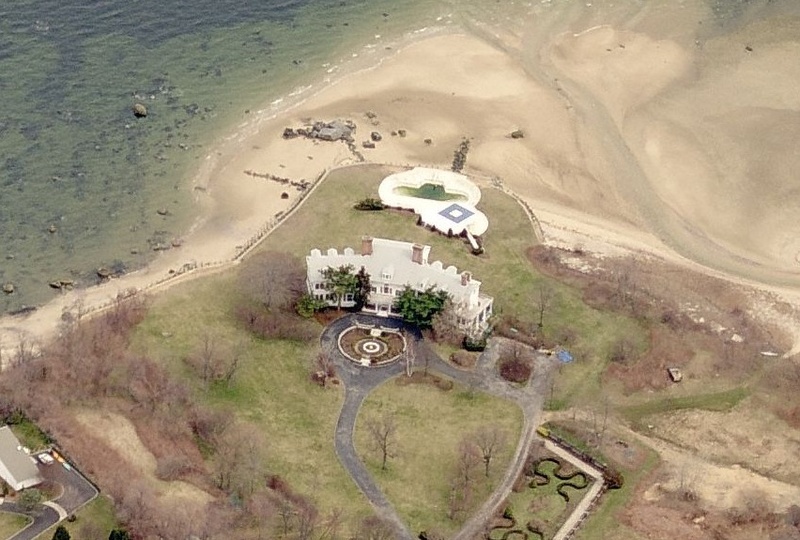 One can assume the large home near the front with the formal gardens was also torn down, since it is not present on Google Maps.